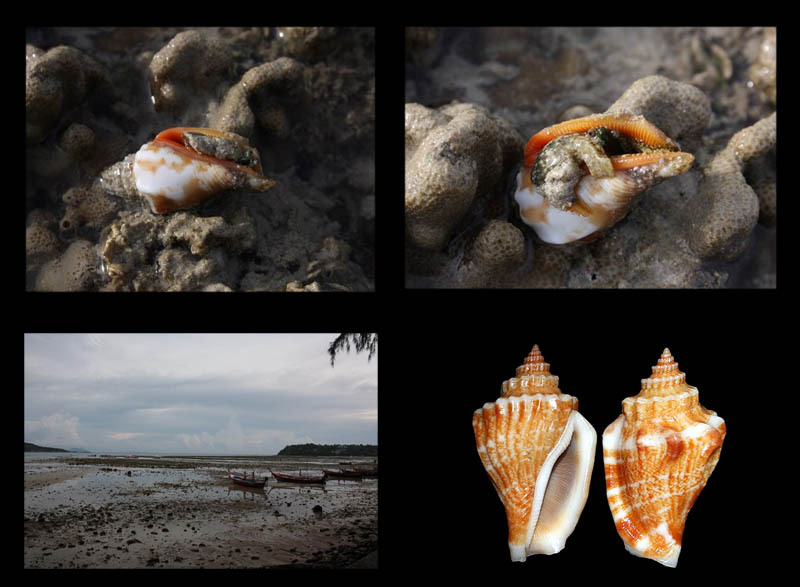 Canarium olydium (Duclos, 1844); (bottom right) and Canarium urceus (Linnaeus, 1758) (top) from Rawaii beach (Wiset road), south of Phuket Island, Thailand. 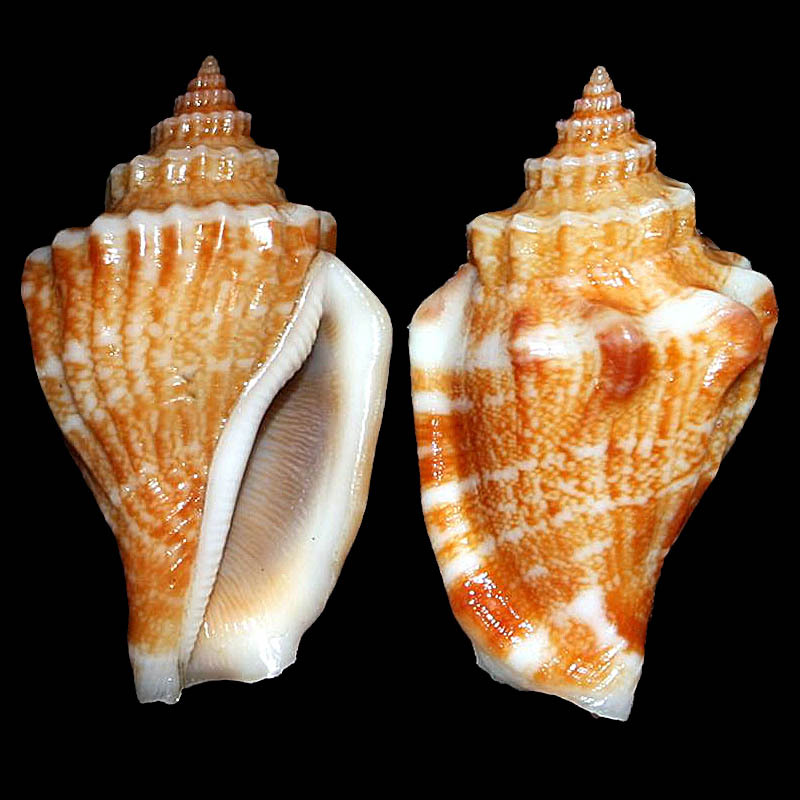 Both Shells were found close together at extreme low Tide. Collected by myself, August, 23, 2013.